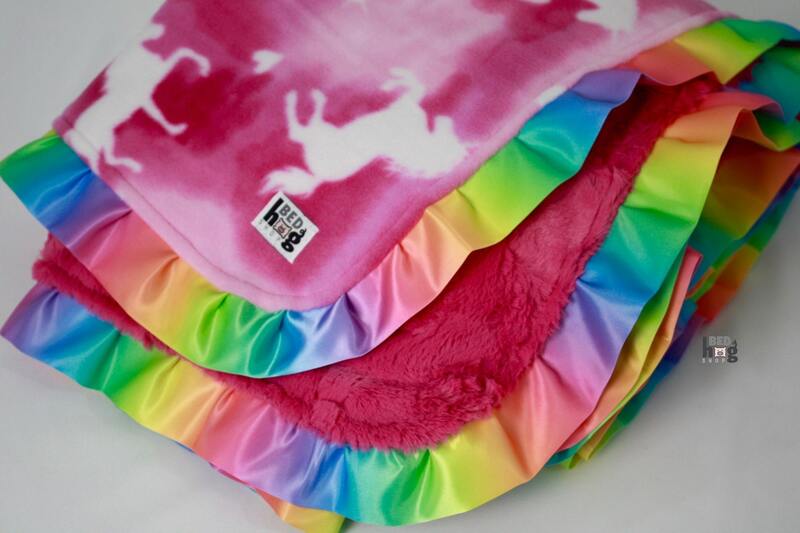 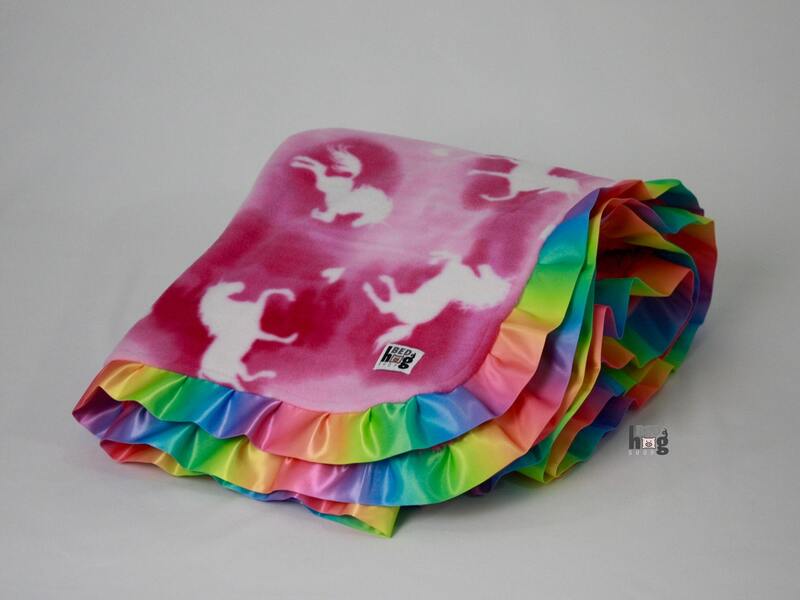 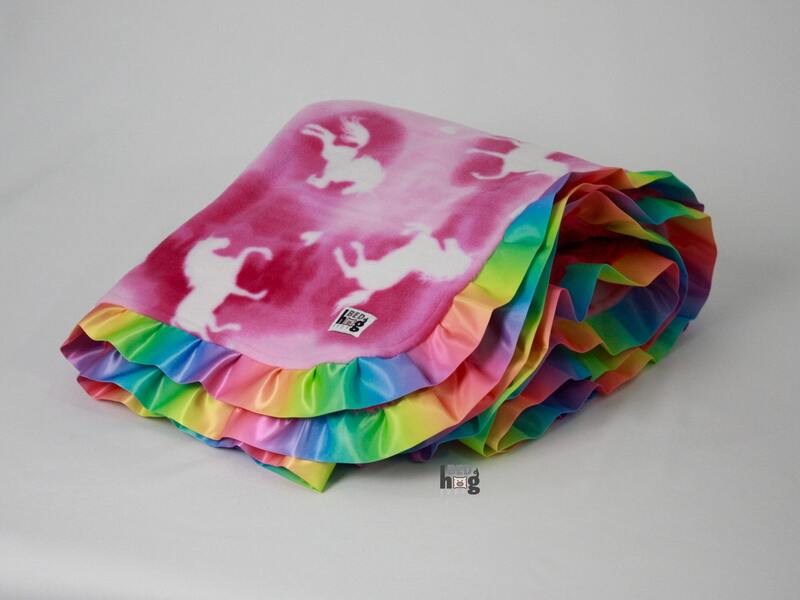 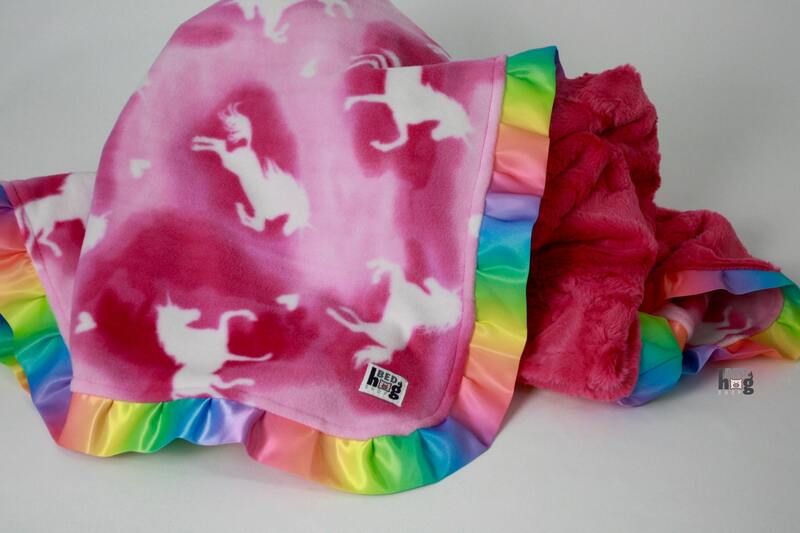 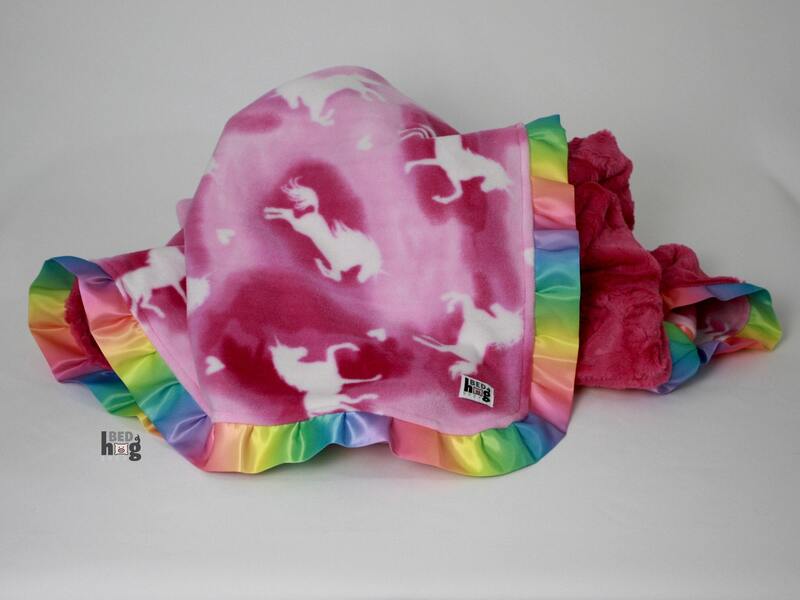 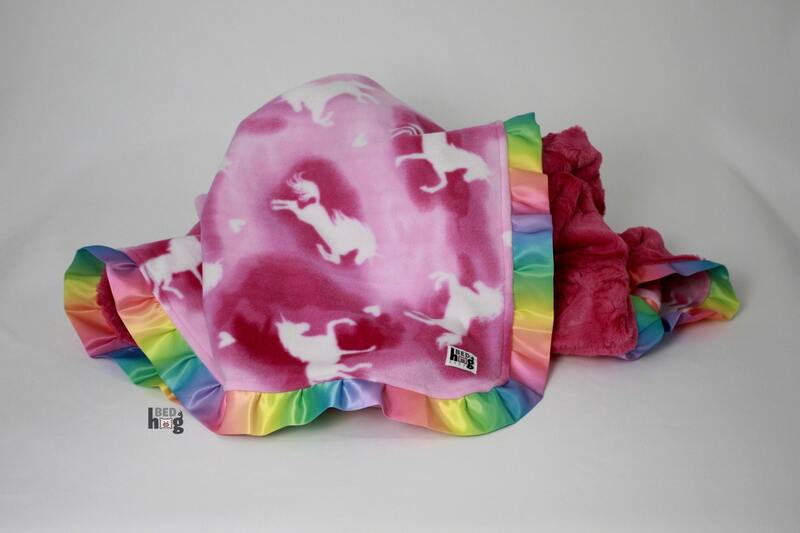 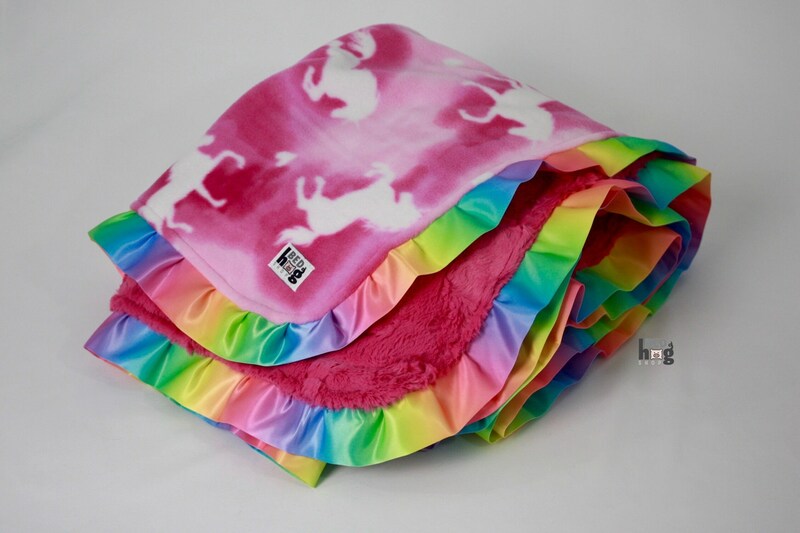 This ultra soft blanket features the magical, mystical unicorn scattered upon a mottled pink background paired with a luxuriant carnation pink minky faux fur polyester back, 1 1/2" ombré rainbow satin ruffle edge and hot pink contrast stitching. 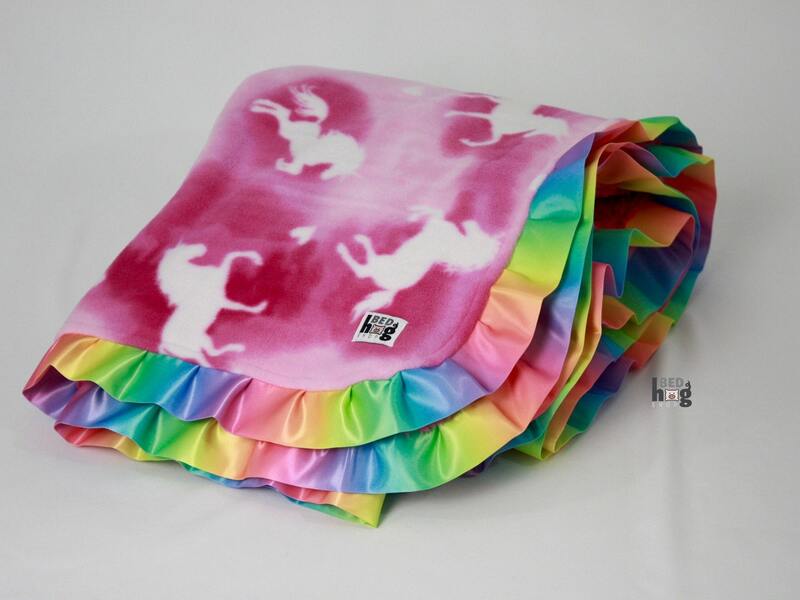 Perfect for all ages as a child's blanket, a nursery blanket, a lap blanket, or just to remind yourself that YOU are also a magical unicorn! 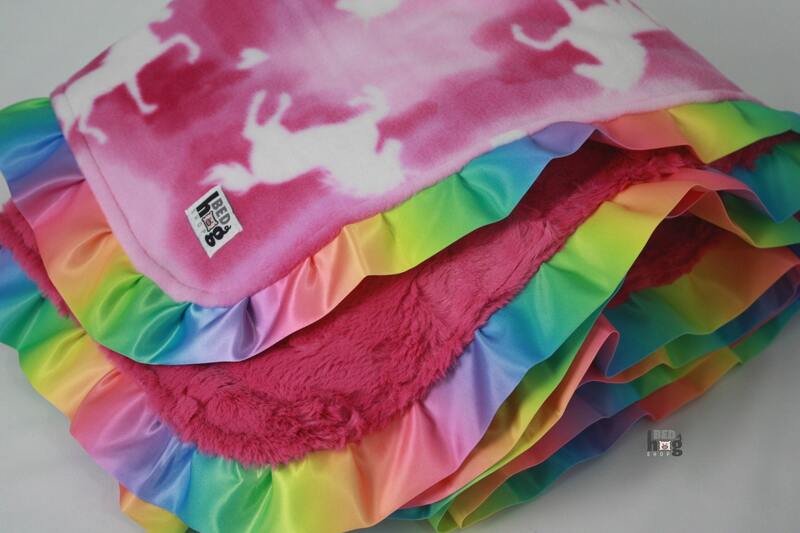 Finished dimensions are approximately 45" x 55" with a 1 1/2" ruffle. 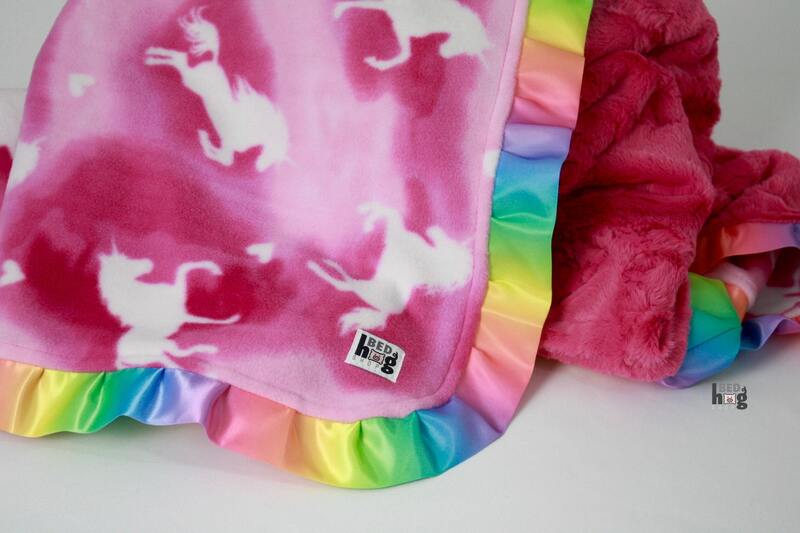 This item is made with soft fleece and minky faux fur.